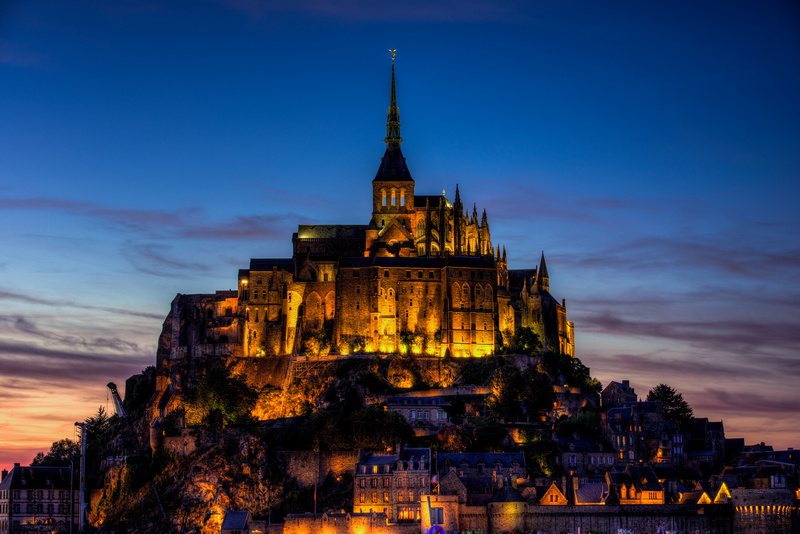 No need to be religious to appreciate this wonderful place that is the Mont Saint-Michel, located between Brittany and Normandy, in western France. The scenery is just amazing. The view from the top, and you know you’re able to walk to the abbey that tops this cute little mountain, is breathtaking! 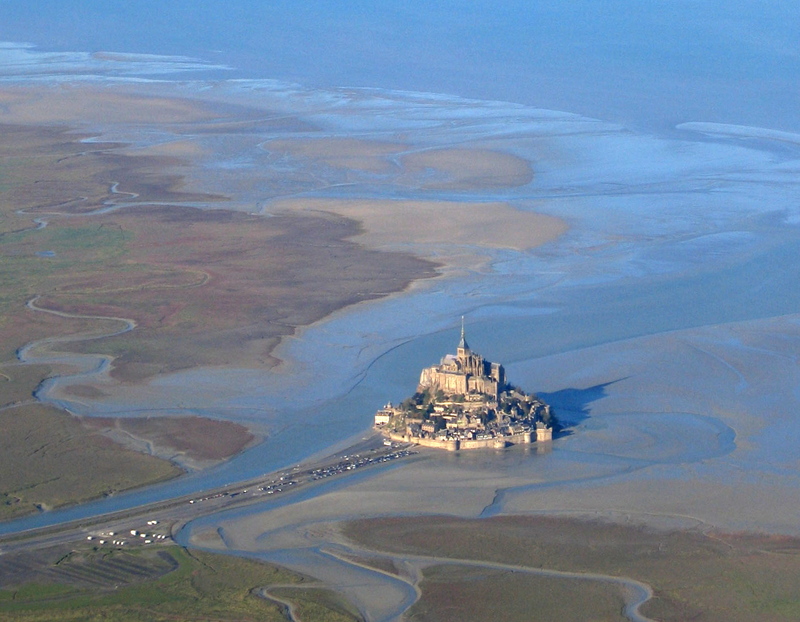 You can see all the Baie du Mont Saint-Michel, from Cancale in the west to Granville in the north. The history is what characterize this place. Very, very old stone walls, small streets, and of course no cars. And… no noise except from people walking around, talking and taking lots of pictures. It’s a very touristic place, so there is a lot of people visiting (3 million/year). That’s why the local authorities have made so much works since years. 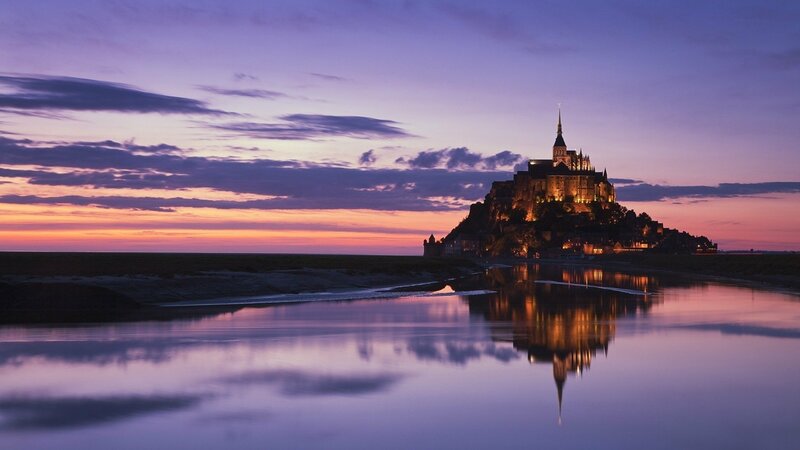 For more than a century, the Mont was linked to the continent by a road, on which people parked their cars. 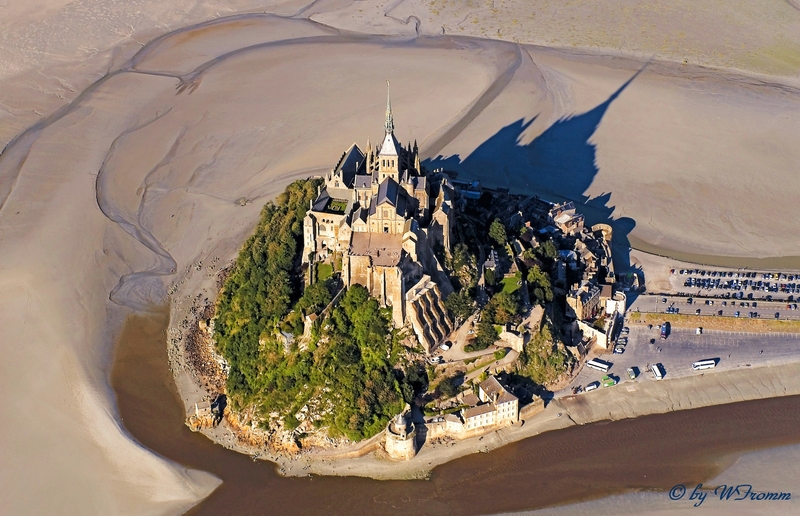 But that affected a lot the environment, and the Mont Saint-Michel was finally totally sanded. 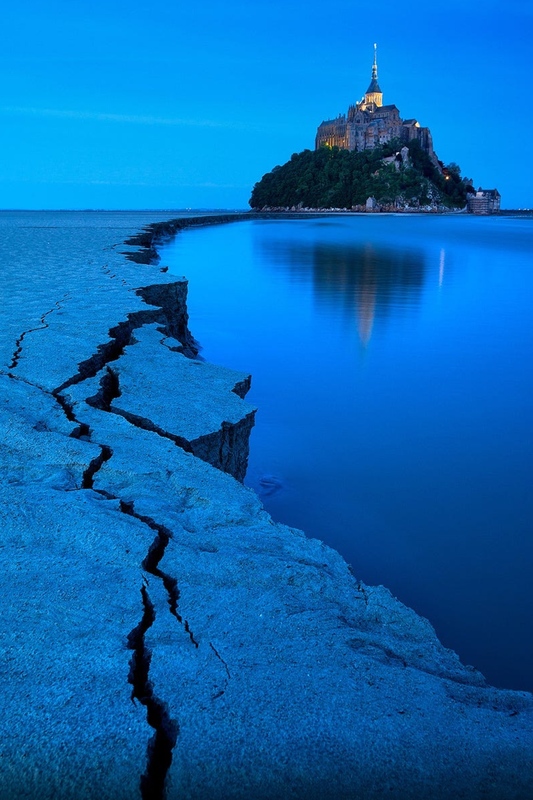 The small river that finishes her course into the ocean was no more able to evacuate the sand. 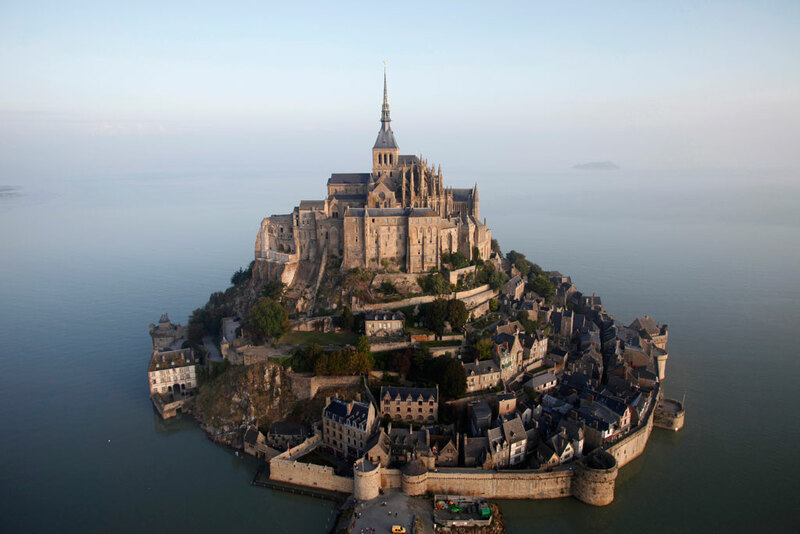 Originally, the Mont Saint-Michel was an island, until 1879. And eventually, it is now again. 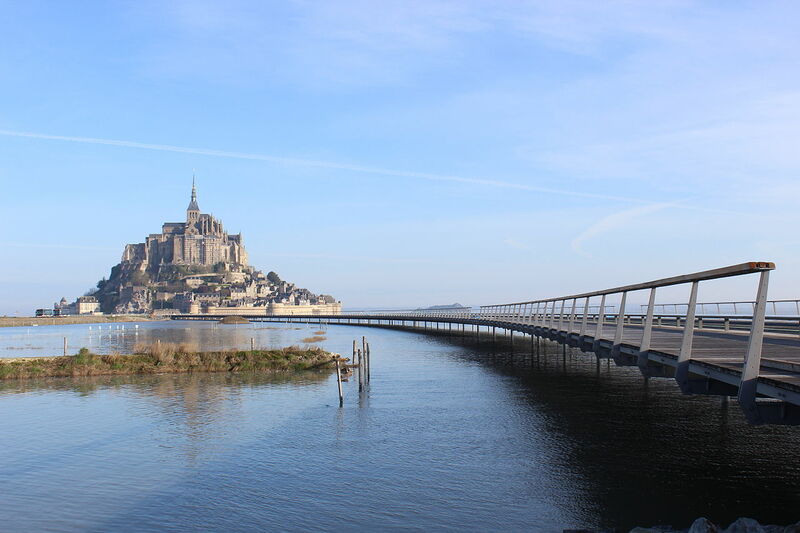 After 10 long years of works, there is a long bridge to protect and access the island since 2014. You park your car about 2.5 km ahead, take a shuttle, then finish by foot. Global access to the site, protected by UNESCO, is easy. There is an international airport in Rennes, not so far, and from Paris, for example, it’s about 1h20 with the TGV (high-speed train) to this city (you have to visit the old town of Rennes too!). 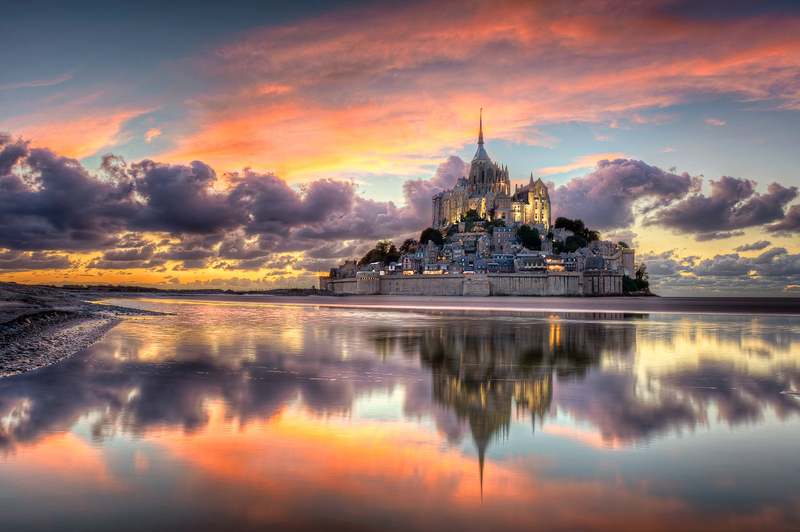 Then you can go to the Mont Saint-Michel by car or bus. There is an highway and it’s about 45 minutes far. 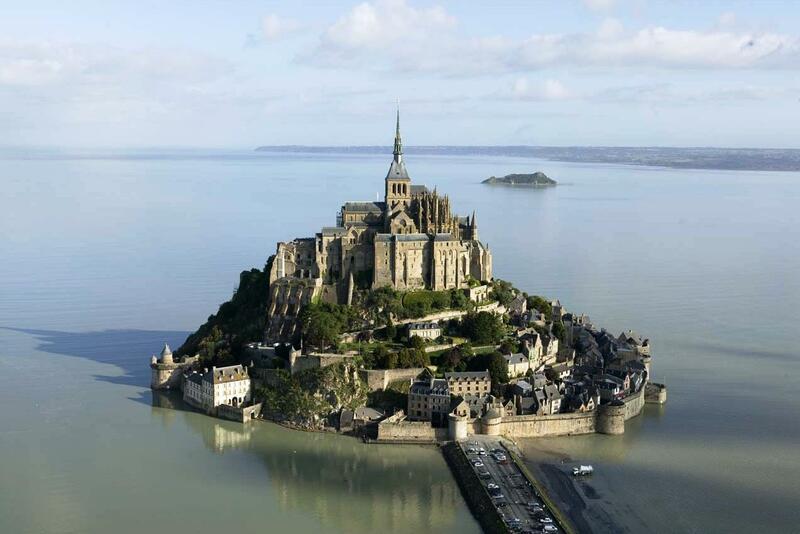 Something you probably don’t know but should to: tides are very powerful around the Mont Saint-Michel. They’re in fact the most powerful in the World! 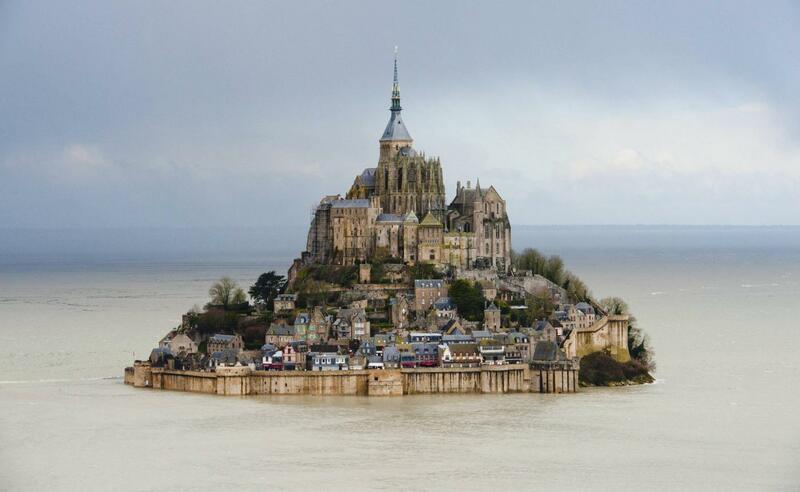 Difference between the low and top of the tides is up to 14 meters! What makes the “sand beach” all around the small mountain very dangerous for who doesn’t know where to walk safely. So don’t do this alone or without a local guide. There are plenty of quicksands, and the tide flow goes so fast that it’s often compared to a galloping horse! You would be quickly overwhelm.